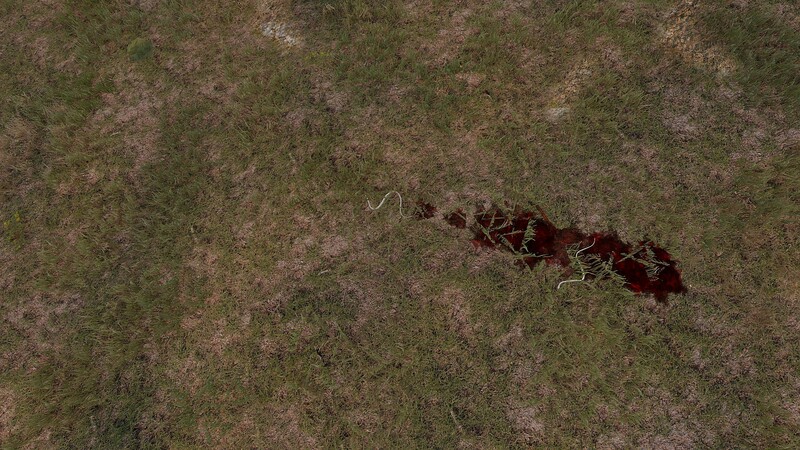 When a snake gets damaged by explosive weapons, it produces large amounts of blood on the ground. It kept crawling around while producing blood decals. When i checked damage it had 100% damage. But it kept on snaking. I have noticed that this also occurs - albeit less extreme - when damaging snakes with non-explosive weapons. +1 , overall animals in this game are extreme frustrating. Rabbits are everywhere in such big population, that i can think in 2035 only rabbits, snakes will stay from fauna. No civilians. Please, give us a option to disable animals in game settings, i ask for this 3rd year.